The new green associated with the renovation of Brown University’s former Hunter Lab (renamed the Building for Environmental Research and Teaching) is the final open space completing the Brown Walk Campus master plan. The green is defined by edge tree plantings that shade perimeter walks. 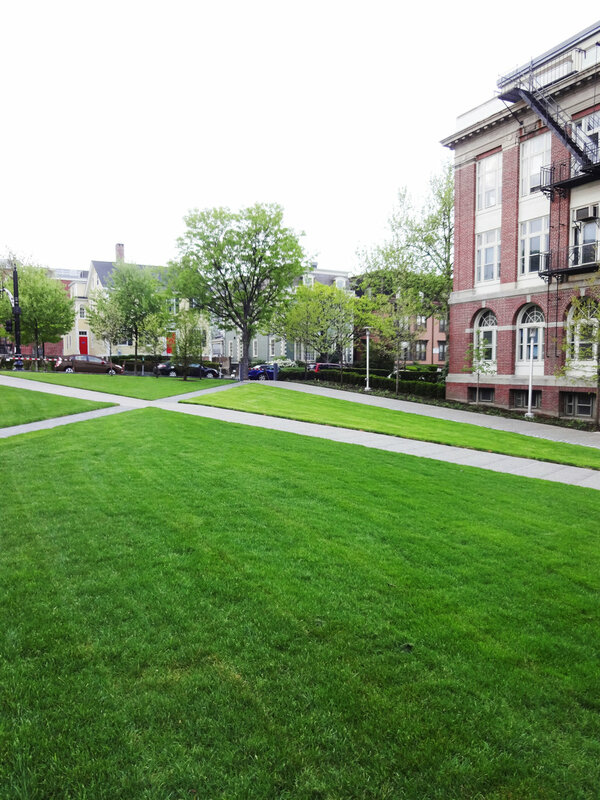 The central lawn is crossed by diagonal paths that help negotiate grade change across the site. The landscape extends the mission of the Environmental Department housed in the building by incorporating teaching gardens. Gardens feature native plants and related exotic species. The site drainage is collected in a runnel and directed to a rain garden demonstrating wet site plants. A new entrance to the building was created fronting out onto the green. A plaza at this location provides a seating area for outdoor teaching and incorporates a water table sculpture created by the artist Maya Lin. The project has earned a LEED Gold rating.